One of the types of startups we see most of nowadays, are private sale, limited time bargain, and local group buying startups. 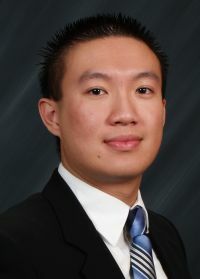 One of those startups is Orange County-based DealPerk.com (www.dealperk.com), which is headed by Albert Ko. Albert previously founded CheapCheapCheap.com, an online coupon and deal finding site, and we thought we'd hear from Albert why he thinks the local, group purchasing market is so interesting, and how he hopes to grow the service beyond just Orange County. Albert Ko: At DealPerk, we cater toward Orange County, here in Southern California. We provide limited time deals--three deals a week--for group purchasing, where local merchants offer significant discounts, up to 50 percent, for local people around here. Those deals require that a certain minimum people participate, and many also have a maximum number to take advantage of those limited time specials, which helps them to get more exposure and business, plus helps out the community. How did DealPerk.com come about? Albert Ko: I've always liked the local edge. I originally started a local coupon site for my Irvine neighborhood, CheapIrvine, where we were distributing 15,000 coupons a month. I noticed that group purchasing was gaining momentum and picking up, and after seeing the process, realized it wasn't really available in Orange County. So, I thought that I'd not only bring it to the neighborhood, but also put my own spin on it. Let's talk about your background, and also how this related to CheapCheapCheat? Albert Ko: I started at Cornell University in the Class of 2006, with a degree in material science engineering and a masters in management engineering. I actually started my web site, CheapCheapCheap, while I was in college. I noticed that in the e-commerce realm, there was a tremendous uptick in sales, where people were promoting bargain hunting for nationwide merchants such as Amazon and Best Buy--especially as the recession hit in 2007 and 2008, and started taking a toll. We rode the recession wave, as all people became bargain hunters. After starting CheapCheapCheap to understand the consumer behavior and trends, I decided to get into the hyperlocal area in 2009. There is lots and lots of competition in the area, how is your firm different from the others? Albert Ko: It's just the tip of the iceberg, though hyper local has only began picking up virality in the last year. We want to target more specific verticals. The issue with our competitors, is that they cater to so many people with different demographics, which makes it difficult. Certain people might like certain deals, and not others, and people end up opting-out when they don't see content they like. We cater to a more specific market, and get deals specifically for those verticals. So, we're catering to women--with things like spas, nice restaurants, waxing services, massage parlors--and giving them what they need and want, rather than just posting deals anywhere and hoping they'll buy. Is this more than just a local Orange County site, or do you have plans to expand the idea elsewhere? Albert Ko: Yes, we're definitely looking to expand, although still pretty local. We're going to be expanding south into San Diego, into the Inland Empire, and also to Los Angeles, where we have a home edge, rather than to towns outside of California, where we don't understand the demographics and landscape yet. We'll be very strategic with expansions. There are competitors who are constantly trying to gain market share, going after quantity rather than quality. How much scalability is here -- it seems like it might be hard to take a hyper-local business and expand it? Albert Ko: With social media right now, it's definitely scalable. People from San Francisco, Detroit, and elsewhere have requested that we duplicate or take the platform and brand, and incorporate it into their city and towns or suburban neighborhood. Even our competitors, who are right now in large, concentrated areas, have lots and lots of counties and towns where they are not into yet. We think that once the time comes, everyone will be doing what we are in the less concentrated cities. There are lots of opportunities. Albert Ko: DealPerk.com has been out for just four weeks, and we've seen some steady revenues, and right now we are going to focus on gaining market share and exposure here. We're also trying to create a package, where we can hand out and train people to cover separate counties or towns, and we'll be looking to scale pretty soon, now that we have a stable foundation and know how the business is working. We'll also increase our market share in Orange County and increase our momentum. Hyperlocal is the next wave. Finally, how are you funding this business? Albert Ko: We're bootstrapped from the revenues from CheapCheapCheap. We didn't need funding or anything of that sort, and started up the business through bootstrap funding.